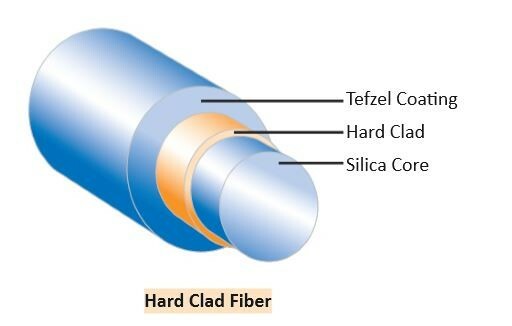 The SPCH & APCH fibers feature a hard polymer cladding instead of a silica cladding. The hard cladding enables a higher NA (0.37) than a silica cladding, and reduces cost. Hard Clad fibers are the ideal choice for disposable medical products.